What to do with pomegranates, eggplants and figs from the garden. Let’s talk about food. I love good eats. But really, who does’t? The challenge these days is sticking to healthy recipes. Thanks to Pinterest, my recipe repertoire has expanded beyond my signature dish, 7 Layer Dip, to maybe a dozen or so dishes. Since I love pretty pictures, I am inspired by the visual ’pins’ and by the fruits and vegetables growing in the garden. In my previous post, Photography Assignments Days 1-10, I shared an image that symbolized “home”: pomegranates (because no Garden of Eden would not be complete without). What do with pomegranates? 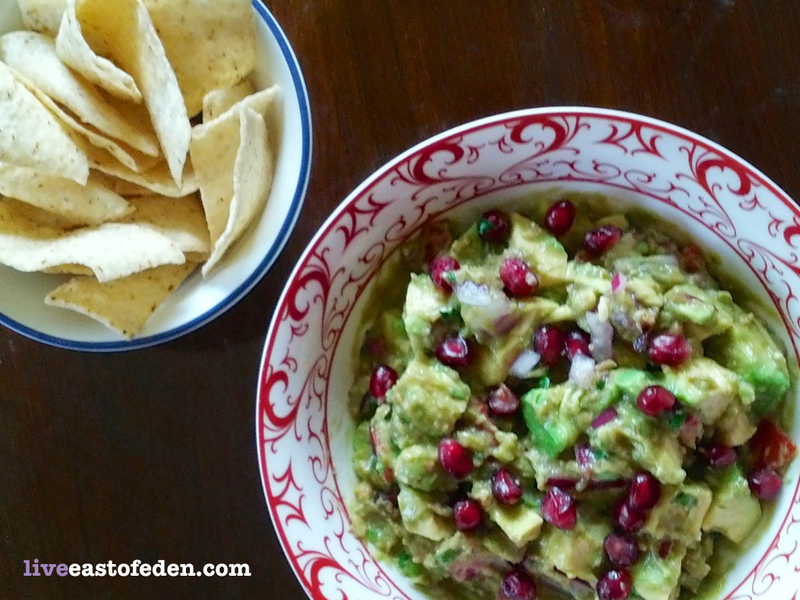 Throw it into your favorite guacamole recipe! Next up. What does one do with eggplants? Is it even possible to make eggplants taste good? 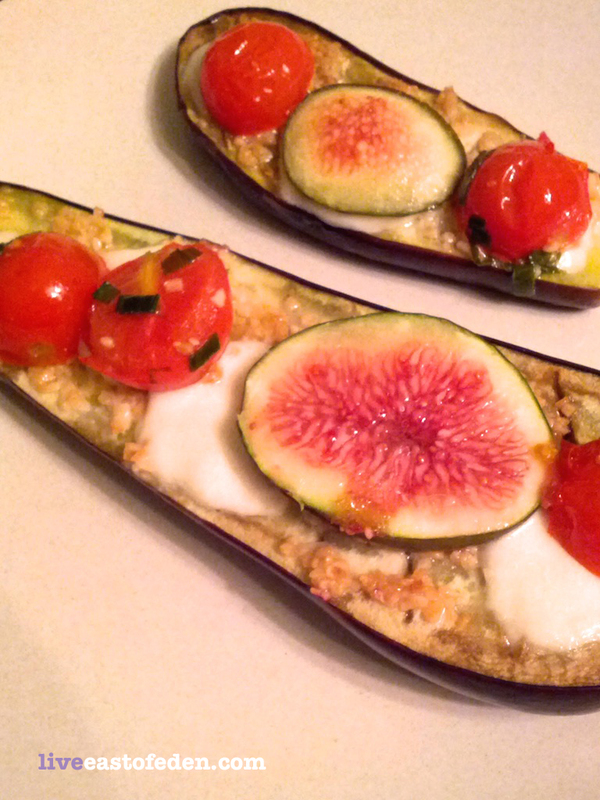 As I was wondering what to do with eggplants, Pinterest came to the rescue again. 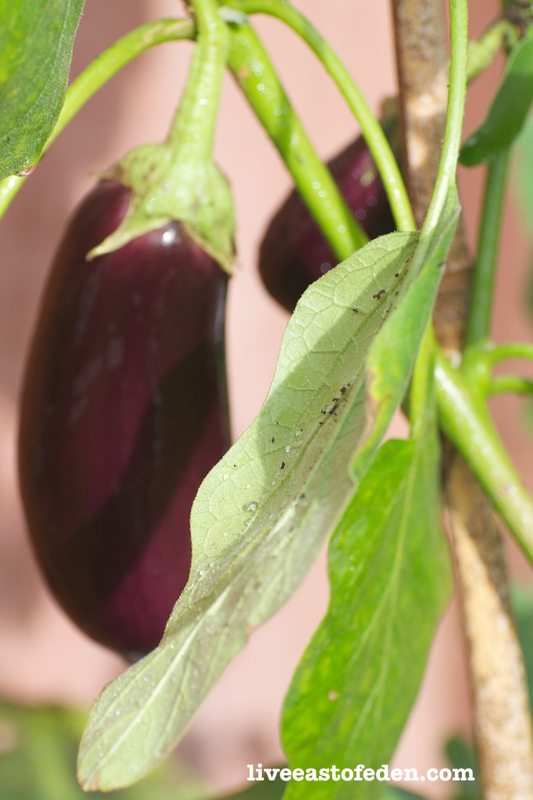 Thoughts to ponder: is eggplant a fruit or a vegetable? Looks delish! How does one effectively eat pomegranate seeds? It is completely safe to chew and swallow the white seeds along with the juicy red arils! I’ve had pomegranate seeds in salads as well. Looks delicious! I love that there is snow falling on your website! So cute! !